African champions Zambia dare not lose at home to Ghana Saturday if they hope to appear at the World Cup for the first time two years hence in Brazil. 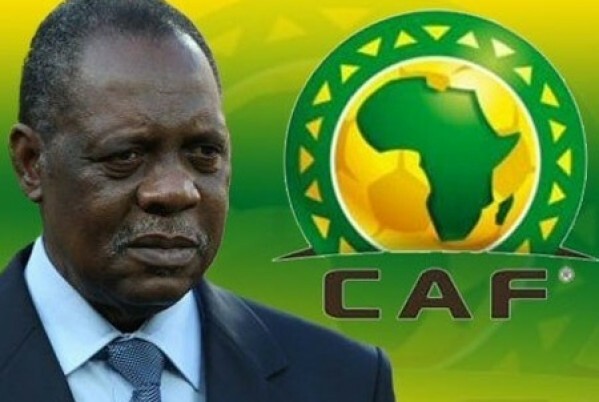 Chipolopolo (Copper Bullets) crumbled 2-0 in sweltering Sudan last weekend when the African group phase kicked off, and another defeat would all but end their challenge a mere eight days after it began. While Zambia were being outfought in Omdurman, top Group D seeds Ghana flew to a training camp in South Africa after demolishing minnows Lesotho 7-0 in a mismatch interrupted for 90 minutes by floodlight failure. 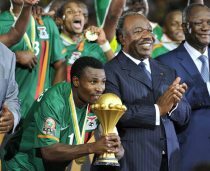 With star striker Asamoah Gyan temporarily retired after severe criticism following a 2012 Africa Cup of Nations semi-finals loss to Zambia, new coach Kwesi Appiah could afford to smile as five Black Stars made the scoresheet. Strikers Dominic Adiyiah and Jordan Ayew, a son of Ghana legend Abedi Pele, bagged a brace each and midfielders Sulley Muntari and Christian Atsu and defender Jeremiah Akaminko also netted. Equally important for the man who succeeded Serb coach Goran Stevanovic after a fourth-place Cup of Nations finish was the squad unity after claims that some players used witchcraft against team-mates during the African tournament. “The team played for the entire nation, for me and for themselves,” boasted Appiah, recently handed the reins of the team ranked second in Africa behind Ivory Coast after many years of European handlers. While Appiah looked relaxed and confident at the University of Johannesburg training grounds this week, France-born Zambia coach Herve Renard was doubtless reflecting how quickly smiles turn to scowls in football. An adopted national hero when Zambia mocked the form book by winning the Cup of Nations for the first time after a penalty shoot-out triumph over Ivory Coast, he is now a man under pressure to get a World Cup campaign back on track. He angered sports minister Chishimba Kambwili by going public with criticism of the travel arrangements for Sudan as the Frenchman wanted to use a chartered jet rather than commercial flights. Lost luggage on the return trip prevented Chipolopolo training Monday as they seek to overcome 2006 and 2010 World Cup qualifiers Ghana for the second time in five months after a 1-0 Cup of Nations triumph through an Emmanuel Mayuka goal. Captain and striker Christopher Katongo will be particularly anxious to impress after a poor performance in Sudan and goalkeeper Kennedy Mweene was another who did not replicate his Cup of Nations form. While the clash of Zambia and Ghana at the new Chinese-built Levy Mwanawasa Stadium in mining town Ndola stands out in a 20-fixture match day two schedule, there is also a lot at stake when Morocco entertain Ivory Coast in Marrakech. High Moroccan expectations when Belgian coach Eric Gerets took over last year have not been fulfilled with a Cup of Nations first-round exit followed by a 1-1 World Cup draw away to Gambia last weekend. The Atlas Lions need maximum points against the Didier Drogba-captained Elephants, who started with a routine 2-0 home win over 10-man Tanzania, to have a realistic chance of topping the final Group C standings. Gerets ditched several stars, including Marouane Chamakh, Youssef Hadji and Adel Taarabt, after the Cup of Nations, but it took a late goal from Fiorentina midfielder Houssine Kharja to salvage a point against the Gambian Scorpions. The Group C match represents the first serious challenge for new Ivorian handler Sabri Lamouchi, a former France international who replaced Francois Zahoui despite no coaching experience. South Africa caretaker coach Steve Komphela must have wished for a gentler introduction than a clash with neighbours Botswana at the 7,500-seat University of Botswana ground where spectators can almost touch the players. Both teams desperately need a win in Group A after Bafana Bafana (The Boys) were held 1-1 at home to Ethiopia, a result that cost coach Pitso Mosimane his job — and the Zebras fell 2-0 in the Central African Republic. Nigeria are in Malawi hoping to build on a narrow Group F home win over Namibia and American coach Bob Bradley travels to Guinea for his toughest challenge since taking over record seven-time African champions Egypt.